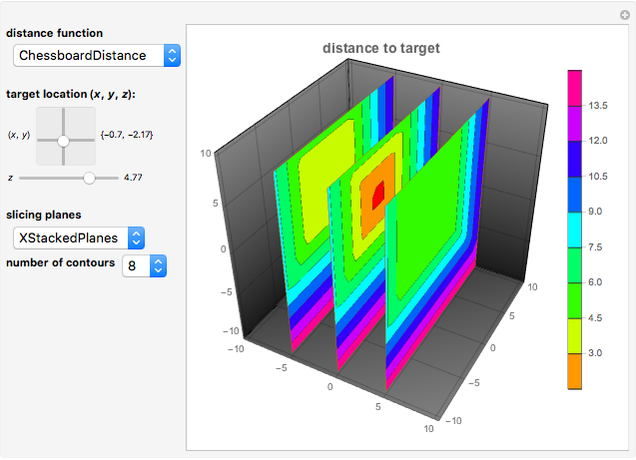 This Demonstration lets you explore the different distance functions available in Mathematica. 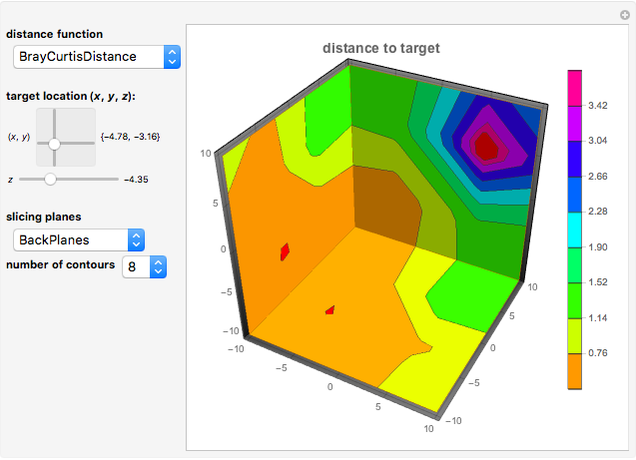 The 3D contour plot shows the distance of a point to a target point. You can select the target point with a 2D slider for the and values and a slider for the value. 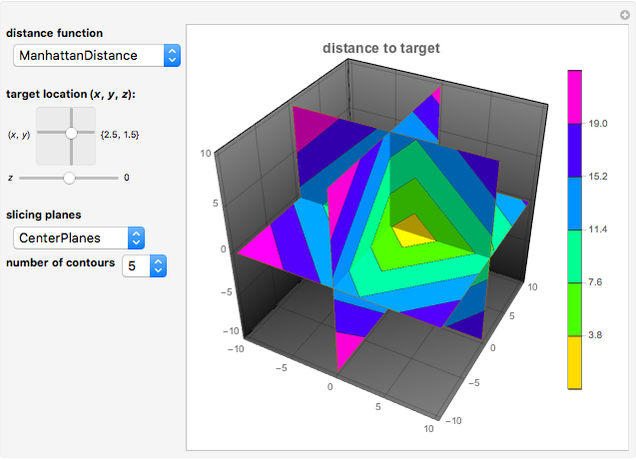 You can slice through the contour plot with different sets of planes to explore the inside of the plot to see the result of the different distance functions. Erik Mahieu "Three Distance Functions in 3D"